What would a roomful of convicted killers see in Shakespeare’s Macbeth? What insight would they have on the choices that he makes, and the consequences for those choices? 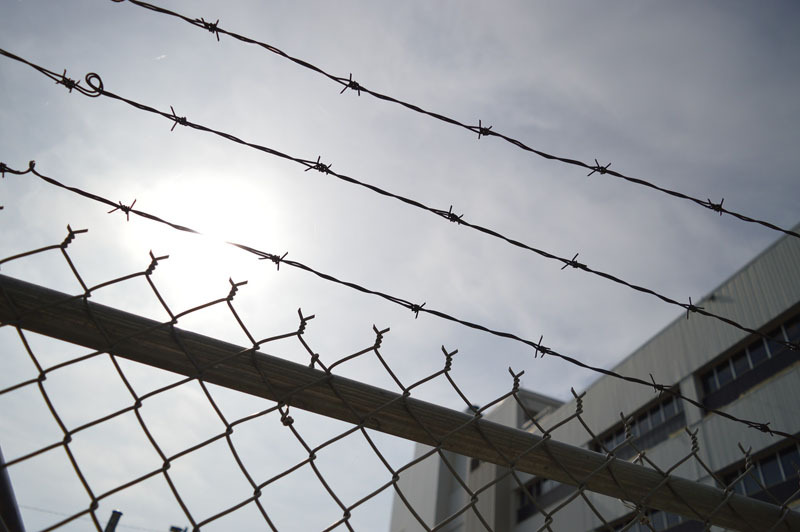 For 10 years at Indiana’s Wabash Valley Correctional Facility, Laura Bates, an English professor at Indiana State University, led Shakespeare discussion groups among some of the most violent and dangerous prisoners. Could Shakespeare be an effective tool for rehabilitation? Bates wanted to find out. “On a deeper life-changing level you have to have criminals contemplating and reflecting on why they made criminal choices, and that’s where Shakespeare’s criminal tragedies come in so beautifully – and what I call his criminal tragedies are Macbeth, Hamlet, Othello, and Romeo and Juliet,” she says. Listen to this Shakespeare Unlimited podcast episode to hear why she chose Shakespeare over other great works of English literature, how the inmates reacted to reading Shakespeare’s plays, and what impact the experience had on their life in prison. Read more from this scene in Richard II on Folger Digital Texts. Our theater partner Chicago Shakespeare Theater recently organized a panel discussion on “Shakespeare in the Criminal Justice System.” Read an account on the City Desk 400 blog and find related resources on the Chicago Shakespeare Theater website, including a video of the Q Brothers performing Shakespeare in Chicago’s Cook County jail. The Old Globe, our theater partner in San Diego, produces a touring Globe for All program that brings Shakespeare to many non-traditional settings, including correctional facilities. Its next play, Measure for Measure, begins performances November 1. Our theater partner Shakespeare at Notre Dame hosted its second “Shakespeare In Prisons: In Practice” conference in January, part of the Shakespeare in Prisons Network. Shakespeare Behind Bars, the subject of a 2005 documentary, brings Shakespeare to prisons in Kentucky and Michigan. Do you know of other programs? Share them in the comments below. My 2016 book “Prison Shakespeare: for these deep shames and great indignities” (Palgrave) surveys the history and spread of Shakespeare in prisons. It discusses several dozen different programs around the world, based on literature, media, interviews with practitioners and prisoners, and first-hand observations of programs on three continents. I also started Australia’s first prison Shakespeare project, which has been running since 2006. Marin Shakespeare Company has run Shakespeare in prison programs since 2003. As of 2016, we have produced 15 full-length Shakespeare plays with inmates at San Quentin and Solano State Prisons. We are currently working on 5 Shakespeare plays at 3 prisons to be performed in 2017, including Folsom Women’s Facility. We have also produced several performances of original theatre written and performed by inmates. Video of most of these, plus video interviews with inmates can be found on the Marin Shakespeare website.